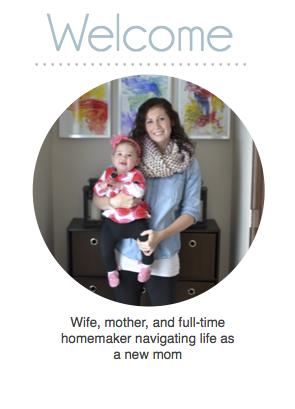 Modern Day Homemaker: Help! Which Cloth Diaper is Right for Me? Help! Which Cloth Diaper is Right for Me? 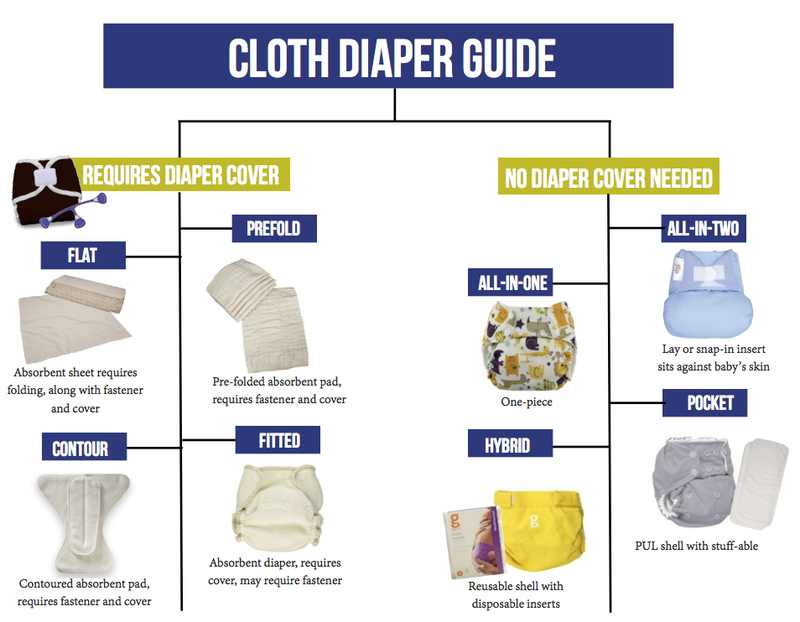 There are a ton of options on the market today for cloth diapers, and this seems to be the most intimidating and confusing part of the cloth diapering journey. Especially, when you hear that there are at least 8 different types of cloth diapers. Yes, 8. I know that might seem completely overwhelming, but I am here to help. It helps to look at cloth diapers in two catogories, those that require a seperate waterproof cover and those that do not. All 8 cloth diaper types fit nicely into these two catagories. Those that require diaper covers tend to be more traditional, more affordable and have a higher learning curve, while those that do not require a cover are similar to disposables, but also more expensive. Below I will go through all 8 types of diapers giving you the pros and cons of each as well as my own opinion. I will also give you some examples of some brands. However, it is best to find the style of diaper you want to try first and then look for brands you like. By the end hopefully you will have a better understanding of what will work best for you. 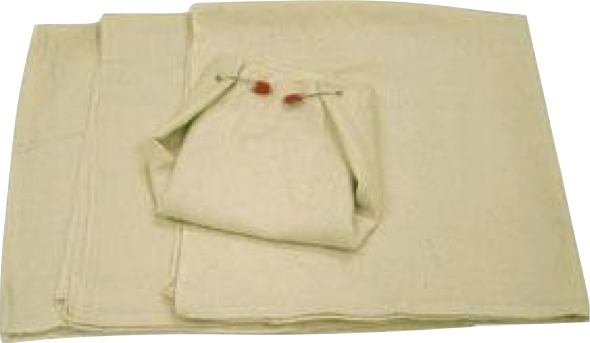 A flat diaper consists of one layer of absorbant material, ususally birdseye cotton. These are the old school diapers that your grandmother probably used, and what most newbies think of when they hear, "cloth diapers." They must be folded correctly in order to provide absorbancy where your child needs it most. For me these just require too much work to learn how to use properly. It is hard enough to change Grace now, without trying to fold a piece of cloth between her legs. I like to be able to drop my daughter off at a babysitter or leave her with daddy and know they will be able to change her messy diaper. There are some women who love these things, and I am not sure if they are brilliant or crazy. These are the most widely used diaper and consist of sever layers of material, usually cotton, sewn together. Prefolds are designed with three panels of varying layers of cotton, with the middle being the thickest layer. A diaper listed as 4x8x4 means that there is 4 layers of cotton on the outer panels and 8 in the middle. Prefolds come in several sizes to fit your baby and there is still minimal folding involved. If you choose to use a diaper service this is most likely what you will end up using. I only used prefolds as a last resort when Grace was a newborn and had gone through all her other diapers. While some moms love these, I never really liked them. I could never get the folds right and my squirmy baby was no help. Also Grace's bottom would get bright red from the wetness even if I changed her immediately after she wet. I never bought larger sizes. but I wonder if I would like them better now that she is old enough for a tri-fold. A non-waterproof diaper similar to prefolds but shaped like an hourgass instead of a rectangle. This helps to provide a little less bulky fit. They still need to be folded and pinned. Honestly, I have never used contours and never known anyone who has so my opinion doesn't really mean much. If you have used these, do you like them? Fitted diapers are a step above contours, and have a shape similar to disposables, with elastic at the legs and back to help contain messes. They are usually made from cotten, hemp, or bamboo and can be closed with snaps, aplix, or fastener. There are multi-sized and one size systems. I used these in my rotation with Grace when she was a newborn. They were easy enough that my husband could use them and the two part process (diaper and cover) wasn't difficult with an immobile newborn. I grabbed these when all of my pockets were gone, as Grace did not like the feeling of the wetness on her skin. I tried using them as nighttime diapers, but they were not absorbent enough for her and her bottom just got red. These are the most popular style of diapers for newbies. Pockets are a two-part system consiting of an outer waterproof shell made of PUL and a stay-dry inner layer often consiting of a wicking material such as micro-fleece, suede-cloth, or minky. Between the two layers, normally in the back, lies a pocket in which you can stuff absorbent inserts. Most pockets comes with microfiber inserts, but you can use bamboo, hemp or even prefolds. This pocket system creates a barrier between the wet inserts and the baby's skin. These can come in numerous sizes or as a one size design. They come in aplix or snap. These are very similar to pockets, but instead of placing the insert in between the layers you snap it in or lay it on top of the waterproof cover. There is often no barrier between the insert and the baby's skin. My Opinion: We don't own any of these and that is simply because Grace does not like any wetness next to her skin. I look forward to trying them if my next child is less picky. Most all-in-two's can also be used with a disposable insert making them a hybrid. You simply lay a disposable pad into the outer waterproof shell. At each diaper change the insert needs to be changed, but you can use the diaper cover over and over again. If your child poops at the same time everyday you can lay down a disposable liner at this time in the hopes of having one less mess to deal with. Many people also use these with a reusable insert at home and a disposable insert when travelling or going out. My Opinion: Since saving money was one of the main reasons I chose to cloth diaper, we do not use hybrids. If you only buy disposable inserts you will spend as much as you would with disposables and still have added laundry. I have also never heard anything great about hybrid diapers. These are the easiest to use and the most similar to disposables. They incorporate a waterpfroof cover and absorbant material into one single piece that is easy to take on and off. They are offered in both snaps and aplix and can be found in microfiber, cotton, bamboo, and hemp varieties. AI1s come in sized and one size versions. My Opinion: My husband loves these, and I highly recommend them for the cautious new diapering mama. These were my go-to when I was a new mom. I was so busy trying to adjust to my new life that it was nice not to worry about getting a fold right or even finding time to stuff diapers. Now that Grace is older I do have an issue with absorbency, especially with BumGenius Freetimes. Are you still unsure which diaper will work best for your family? Try a diaper trial. For around 100 dollars you get to try several different types of diapers for a month. If you like them, keep them. If not return them and get a refund. There are many compnies that will do diaper trials, but here are a couple: Sweet Bottoms Baby and Jillians Drawers.